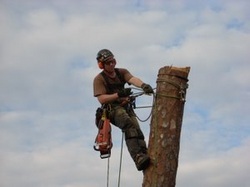 Some people are of the opinion that it does not take an Arborist to remove a tree, as there is no special skill needed to put a tree on the ground. At If Trees Could Talk, we are of a different opinion. When it comes time to remove that large tree from over your roof, would you prefer to rely on just any old tree service, or an Internationally Certified Arborist who frequently attends classes and safety sessions in order to stay current with all of the latest techniques and technology to make tree work as safe and efficient as possible? The choice is clear! If Trees Could Talk will not remove any tree without first obtaining an approved permit from the county or city permitting department, whichever applies. This protects the homeowner from any fines of liens that may be applied should a tree be removed without a permit. We can provide assistance with the permitting process.